When Allen Collins and Ronnie Van Zant of Lynyrd Skynyrd wrote “Free Bird” — one of the most requested rock songs of all time, according to Wikipedia — it’s possible that they had the American bald eagle in their minds. 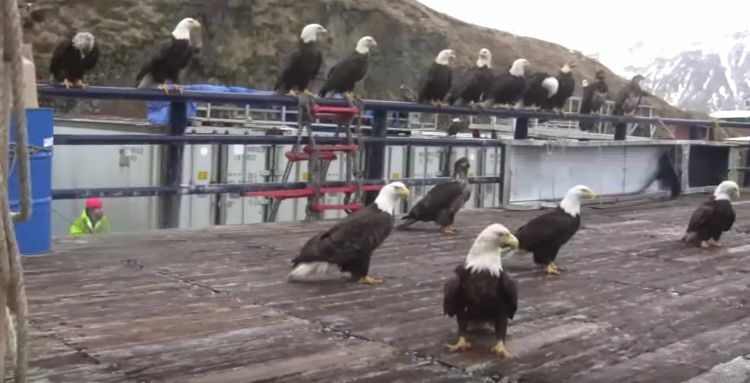 A fisherman in Dutch Harbor, Alaska, didn’t miss the possible tie between the symbol of U.S. national pride and the song. In a video that fisherman Jessie Peck posted on YouTube, he makes sure to have a cover version of the song, performed by the U.S. Air Force Band of Mid-America, Hot Brass, blaring in the background. 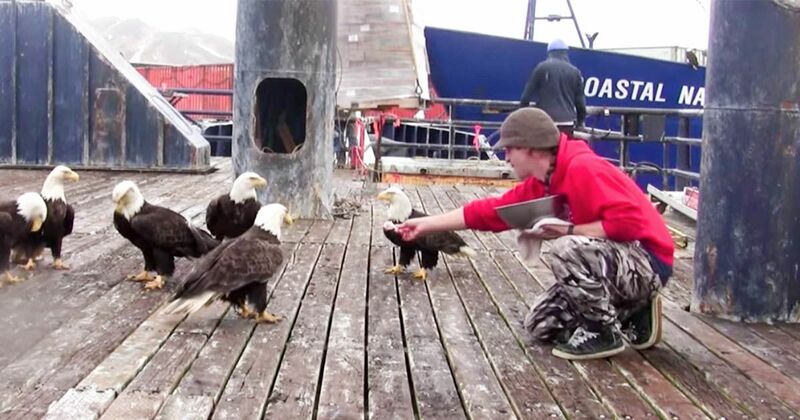 In the video, you see Peck and a group of bald eagles on a dock. Peck, who is carrying a bowl, hand-feeds the eagles what appears to be fish. The eagles, acting more like pigeons and less like the noble creatures most Americans have been conditioned to believe them to be, try to outmaneuver each other for the scraps.